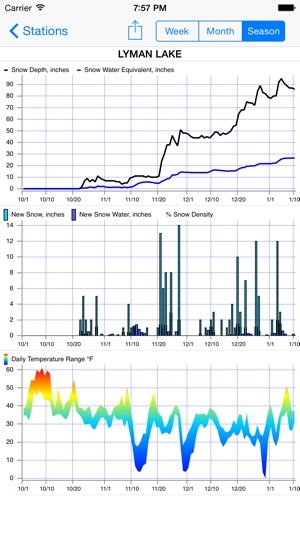 Snow Tell provides real time access to over 800 weather stations around the Western US, from the Snotel network. 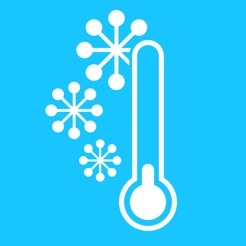 All stations include snow depth, density and temperature information. I use this app every year when planning my backpacking trips. 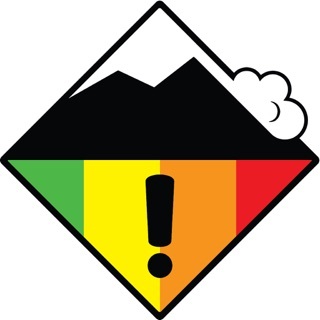 It is a huge help to see the snow levels by day and season. Thank you for making this available! 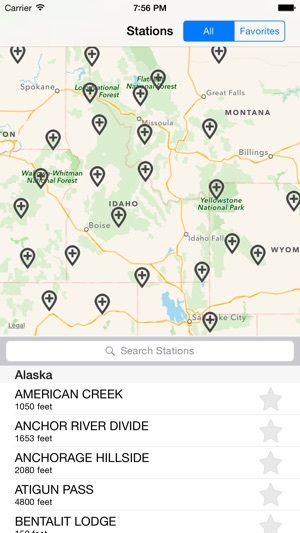 Overall, I am extremely happy with how the app consolidates the snotel sites. Very user friendly as well. One enhancement; is there any way that a 24 hour view can be added from the sites? 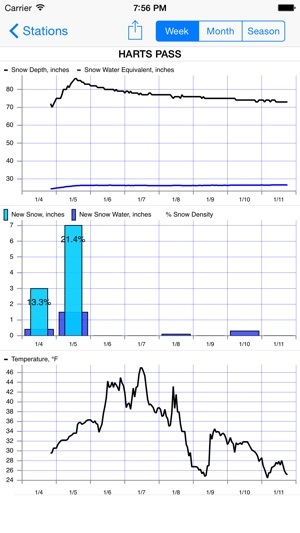 The data plotting is distorted by outliers and data noise like -100F ..or 100 in of new snow. These need to be eliminated from the plots because it distorts the scale making the plots unintelligible.